South Korea’s first telecommunication + finance Big Data research institute ultimately shut down its business due to government regulations and oppositions from civil groups. This research institute, which combines Big Data from telecommunication and finance, was established to enhance South Korea’s credit rating models and to be used for credit rating, business district analysis, and public services of local government entities. Despite this current situation, financial authorities are only caring about political circles and are turning away from revision of laws and projects on combination of Big Data that were planned initially. According to IT and financial industries, ‘BC Card Big Data Research Institute’, which had drawn expectations for opening a prospect of South Korea’s Big Data industry by combining telecommunication and financial information, was separated and its ex-employees were relocated to Digital Payment Research Institute and marketing departments and its ex-director resigned from director position. BC Card Big Data Research Institute had drawn lots of interests when it was established for the first time. Just by combining telecommunication information from KT and card transaction information from BC Card, it had had the most data in South Korea. It is heard that it had had about more than 10 billion cases of telecommunication and financial information. After it was established, it signed agreements with local governments in South Korea and it had pushed for enhancement of South Korea’s Big Data industry. It even proposed a plan of utilizing Big Data from startups through APIs (Application Programming Interface). KT had also supplied Big Data to various companies with superior technologies and it even planned for coexisting projects. However, it was ultimately shut down due to postponement of revision of Credit Information Act and continuous opposition from civil groups. BC Card Big Data Research Institute has been renewed as ‘Digital Research Institute’. This research institute will not focus on Big Data. Big Data Research Institute has ultimately been broken up as internal personnel who had led Big Data business has been scattered. Half of ex-employees were relocated to ‘Digital Research Institute’ while other half was relocated to customer analysis team that analyzes customer sales. Although KT has also set up various plans such as establishment of ‘Telecommunication CB’ and Big Data consulting business by combining information from BC Card, its plans have been blocked off due to regulations. Other financial companies are also going through a similar situation. 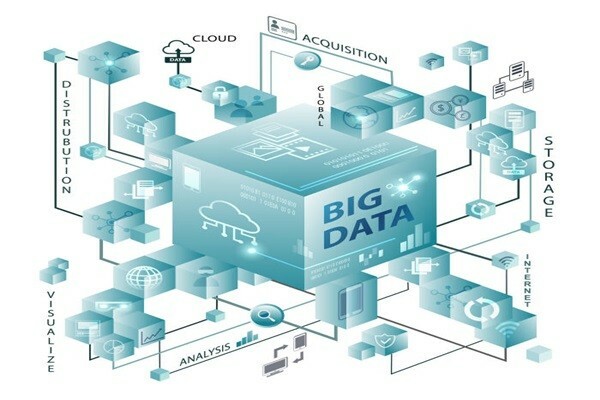 Although Shinhan Card established a task force for Big Data and is carrying out many businesses, it is heard that it has drastically reduced relevant businesses to just collecting and processing internal information. Hana Financial Group is also not using its new credit rating model that was developed by combining telecommunication information from SK Telecom. Financial companies are asking South Korean Government to revise Credit Information Act and to ease regulations on telecommunication and financial information as soon as possible. Government businesses are also disappointing. Although South Korean Government established Korea Credit Information Services (KCIS), which manages scattered financial data by accumulating them, 2 years ago, KCIS’ Big Data project has been slumping due to continuous accusations from civil groups. KCIS was established when South Korean Government wanted to make South Korea as a Big Data industrial hub. It manages credit information that were scattered and stored by 6 organizations such as The Korea Federation of Banks, The Credit Finance Association, Korea Life Insurance Association, General Insurance Association of Korea, Korea Financial Investment Association, and Korea Insurance Development Institute. However, civil groups that are sensitive to leakage of personal information are on opposition towards KCIS. Korea Credit Information Services established ‘credit information sample database’ by combining insurance contracts such as loan, overdue, and late payment from financial businesses and information on records of accidents at the end of last year. It expected that small and medium financial companies and FinTech companies would use such information to develop products and to analyze markets. However, 12 civil groups such as People’s Solidarity for Participatory Democracy and others accused 4 non-identifiable organizations such as Korea Credit Information Services and National Information Society Agency and 20 businesses such as SK Telecom to South Korean prosecutors for suspicion of violating Personal Information Protection Act. South Korea’s Big Data business has stopped at the moment. Although Presidential Committee on the Fourth Industrial Revolution tried to persuade civil groups as part of easing regulations on Big Data industry, their efforts ended up being empty talks.